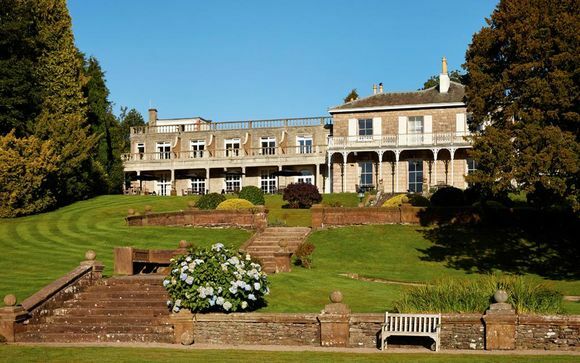 Surrounded by some of the Lake District's most breathtaking countryside, the luxurious Macdonald Leeming House Hotel 4* offers an extra feeling of grandeur and carries the ultimate traditional country house charm. Nestled deep within the fascinating Ullswater countryside, world-renowned lakes, fells and cliffs are all within walking distance. During their stay, our members will be accommodated in comfortable Feature Rooms, complete with a delicious breakfast included. 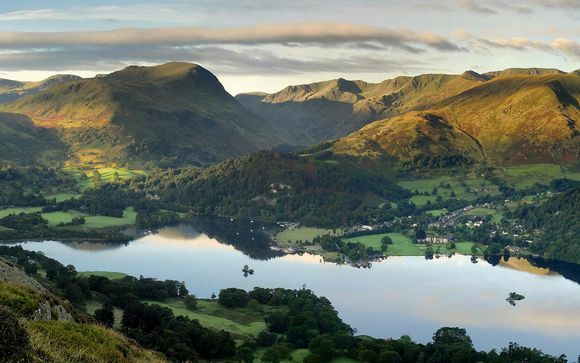 With its famous Cumbrian countryside surroundings and quaint village vibe, Ullswater, at the foot of Ullswater Lake, is the perfect destination for those wanting to strip back and enjoy the great outdoors. Take a trip to Penrith, just minutes away, wander around Glencoyne Bay, a place where famous English-Romantic poet William Wordsworth drew much of his inspiration, or scale the many cliffs or famous fells for a slice of the Lake District’s unrelenting beauty. 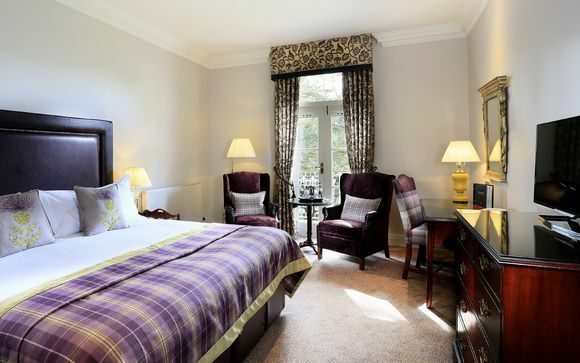 Peering out onto the majestic Ullswater Lake, which is beautifully surrounded by immaculate green fields, the 200-year-old Macdonald Hotel Leeming House 4* offers the perfect English countryside retreat. A 4 silver star hotel, and the former winner of Hotel of the Year, here, guests can soak up the charming rural setting and indulge in common Lake District activities, including sailing, pony riding across the fells or abseiling. For a touch of R&R, let go of all your worries in the impressive and sensuous spa at the sister hotel, the Macdonald Old England Hotel, overlooking Lake Windermere. What's more, the hotel accepts dogs for an extra £15 a night (dependent on availability, inquire at the hotel first) - so you can bring your furry friends along for a break! This offer is based on a Feature Room. Newly refurbished, the stunning Feature Rooms boast plush purple-accented furnishings and every modern amenity you could wish for. A stay in this room also grants guests access to their own private balcony from which to enjoy breathtaking views of the Lake District - what more could you ask for? 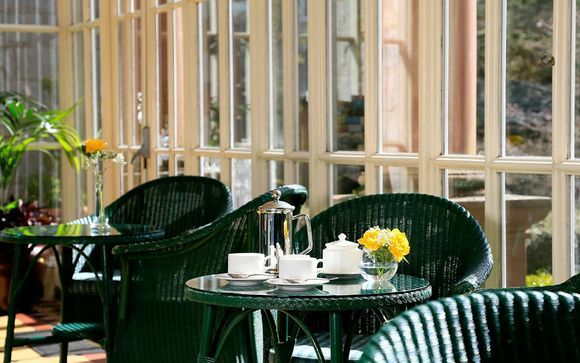 The elegant Regency Restaurant showcases the finest of British cuisine and has been awarded two prestigious AA Rosettes. Showcasing classic dishes that have been prepared with the freshest, seasonal ingredients, the Regency Restaurant is also open for breakfast, where guests can begin the day with a traditional full English breakfast or enjoy the selection from a continental buffet. Please Note: the Regency Restaurant carries a smart dress code for dinner, and jeans and trainers are respectfully not permitted. The address of your property: Watermillock, Penrith CA11 0JJ. Distance from Penrith Station to the Macdonald Hotel Leeming House 4*: 12.6 km / 17 minutes.